CRM â€“ Customer Relationship Management â€“ projects are no different; they are subject to the same torques and tensions that tear other projects apart. 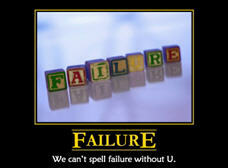 In fact, the numbers are higher with CRM projects; studies show up to 70% of CRM projects fail. What is the source of so many CRM failures? Are there characteristics of CRM projects that make them especially vulnerable? More important, what are the remedies? Ask anyone at your company what CRM is, and youâ€™ll get your first clue about the source of the frequent project failures. Too many people, from staff-level to the corner office, from IT to sales, believe that CRM starts and ends with software. In fact, the core of good CRM is the same as itâ€™s been for decades: the right people executing the right processes, using the best possible tools at their disposal. And these days the â€˜best toolsâ€™ means software that support the relationships between companies and clients. Assess and Benchmark your current team. What does the organization look like? Who has a customer-facing role, and what do they do? A basic organizational map, along with a list of each teamâ€™s assigned roles is an essential first step. If you donâ€™t know what you have to start with, itâ€™s nearly impossible to map out next steps and improvement points. Map out the basic contours of the key customer-centric processes, including those that generate new business, as well as those that work to support existing clients. Who does what and in what order? What tools do they use to accomplish these tasks? Think about supporting processes as well, like prospect generation, lead qualification, or contract writing. The most important rule? Be honest about how it actually works, not how itâ€™s supposed to work. Create a vision of the future by modeling the way your customer-centric processes ought to be. Now you can set your â€œAS-ISâ€ information aside and start working through how things should be. For each existing process, youâ€™ll want a corresponding future state. The difference between your IS and SHOULD processes represents your path for change. While technology is an important piece of CRM, companies that focus solely on buying or building the best IT components will too often become another statistic in another research groupâ€™s report. Meanwhile, companies with healthy CRM implementations have inevitably taken into account all three of the primary components for success: people, process, and technology. With so much focus on technology, itâ€™s no wonder CRM projects often fall into a second major trap: lack of stakeholder commitment. When CRM software is seen as a panacea, the important players at a company forget that they have an important part to play in a projectâ€™s success. As a consequence, there is an endless parade of organizations who spend millions on software, only to find that their people â€“ field sales professionals, sales engineers, anyone engaged with the client â€“ continue to make the same mistakes they made before. To get through the surf, all company oars must be in the water, pointed in the same direction, and rowing in unison. Too often companies start down the path of change without key peopleâ€™s participation, either in body or spirit. The fact is customer relationship problems are typically organization-wide. They require a commitment from decision-makers and staffers to make real changes to how they operate. Those changes may require new people with a different mix of skills; they may require a new approach from the management team; it may force a company to re-evaluate the way it performs basic tasks. Above all, CRM success is dependent on a company following through on its commitments to align people, processes, and the right technology components. Dream big: define your teamâ€™s business priorities. Sure, we know itâ€™s to make customer relationships better, but what does that mean exactly? In one company it may mean shortening the sales cycle, in another it may mean making more up-to-date intelligence to the process. Laying out the companyâ€™s needs in discrete, measurable terms is a good way to get everything thinking the same way about solving the problem. Face the truth: acknowledge current challenges. If it were easy, you would have done it by now, right? As a part of the early definition of what you want to fix, you have to acknowledge the obstacles. Nothing comes for free: do an honest cost-benefit analysis of making the required changes. This step helps you determine the extent to which the team should go to solve its problems. Consider best-case and worst-case scenariosâ€¦and donâ€™t forget to show what happens if you do nothing at all. Write it down: create a CRM business case. Youâ€™ll want to define all the points above, and puts it into a format all the stakeholders can quickly read and understand. CRM is an investment, just like building a new factory, or hiring a new employee. Modeling the return on investment is the best case for nudging even the most cautious executives toward making a change. With stakeholder commitment, and a holistic view of the solution that touches people, process, and technology, you must now face the final obstacle on your way to CRM success: failure to plan. At this point, youâ€™ll notice the stakeholders being drawn to slick CRM software brochures like moths to a bright flame. But thereâ€™s work to be done before the team starts thinking about technology. The IS/SHOULD assessment and the Business Case should be the starting points for an overall CRM Strategic Roadmap. The roadmap defines how the company is actually going to accomplish the required tasks, in a step-by-step fashion. The time horizon for the Strategic Roadmap may extend beyond the immediate budget, and it may become more vague as it discusses steps further into the future. But itâ€™s a critical document because it provides overall direction for the team and for the stakeholders. And above all, it maps specific actions to remedy every need defined in the business case. The early phases of the CRM Strategic Roadmap should be further defined in the form of an Implementation Plan and Budget. The Implementation Plan offers a specific schedule of events for actually implementing the chosen solution. People may be impatient for change at your company, but planning pays for itself many times over. Too often the planning process is lampooned as a paralyzing activity that brings projects to a halt. Building the Strategic Roadmap and Implementation Plan & Budget is a critical information-discovery and analysis step, and itâ€™s one that companies who have experienced CRM success know to be essential to a project coming to full fruition. You might hear that CRM is nothing more than the company rolodex. Or you might believe that CRM software starts and ends with a sales pipeline tool. If you fall for that, you might believe that making improvements to how you win and manage customers is easy. In fact, it requires careful planning, and it requires buy-in from key players in your company, starting in the corner offices and moving down the organizational chart from there. In the real world, CRM is a system of interconnected elements comprising people, process, and technology; any improvements to that system have to be carefully planned and executed. Fortunately, finding the right mixture of those three ingredients for your company is possible. The road is treacherous, but with the right approach, you can reach your destination. If you would like to learn more about how to apply these best practices to your CRM projects, please visit http://www.ismsystems.com/lp/crmfails-webinar.php. Also visit our website www.ismsystems.com or call us at 877-553-0485 to set up a consultation. We look forward to working with you. ISM helps clients successfully leverage CRM through leadership in strategy, business process requirements, technology selection, implementation, and support. Our methodologies and expertise adhere to the best practices from the most respected minds in the CRM and business process consulting industry. Steve Snapp is a Sr. CRM Consultant at ISM. He has over 15 years of sales and marketing experience in various industries. Since 1995, Steve has helped build the CRM practice from implementing CRM technology to a full-service CRM consulting firm. Swain Scheps is a technology professional based in Dallas, Texas. His experience includes solution design and project management in a variety of IT specialties including CRM, Business Intelligence, and E-commerce. He is also a writer and author; his latest book “Business Intelligence for Dummies” (Wiley) came out in 2008. This is good, we often have CRM problems here in our company. Some minor problems, but they fixable. CRM’s are really of good quality. Thanks for sharing your words on CRM’s failure. We get some technical failures here in our Call Center company. This would be a good help to help agents and staff know more about CRM’s. CRM software would be more successful if they suppliers pay more attention to the implementation of the software. A internal anaysis is probable the most important part of CRM software, CRM should be custom-made and adjusted to each company. 2. A lot of companies think they know what they need upfront, but they don’t really know. A lot of the knowledge, processes, workflow need to be understood up front. 3. A lot of companies probably misunderstand CRM and they expect too much from it or they try to achieve too much. They set themselves up for disappointment. CRM would get success if there would be an application perfectly maintained lead management technology.Without lead management system a lead generation company can not establish a well cultured customer relationship environment. Previous Previous post: How Are Salesforce Admins Driving Company Revenue & Reducing Costs?